A Consumer Owned Co-operative Quilt shop? Find out more (pdf). 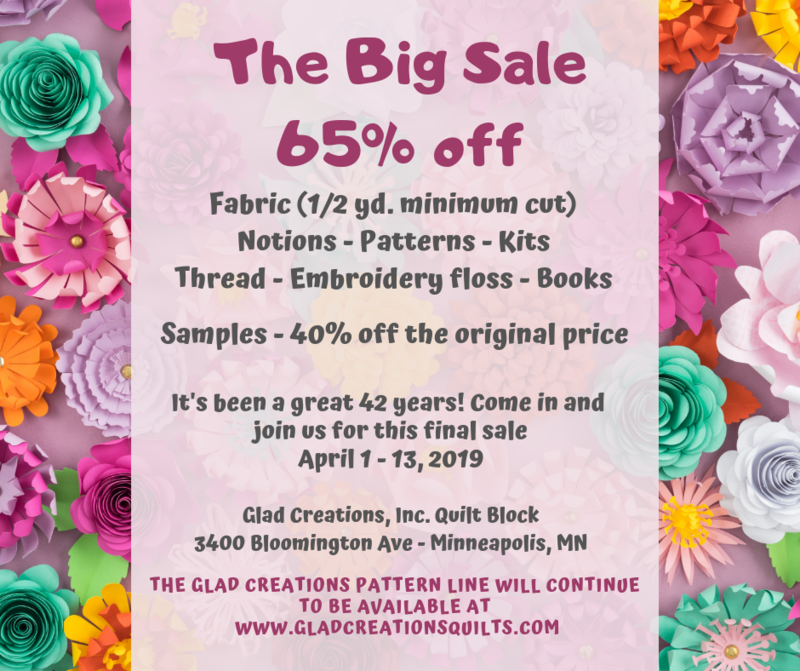 The Big Sale Update - Closing date April 13, 2019. 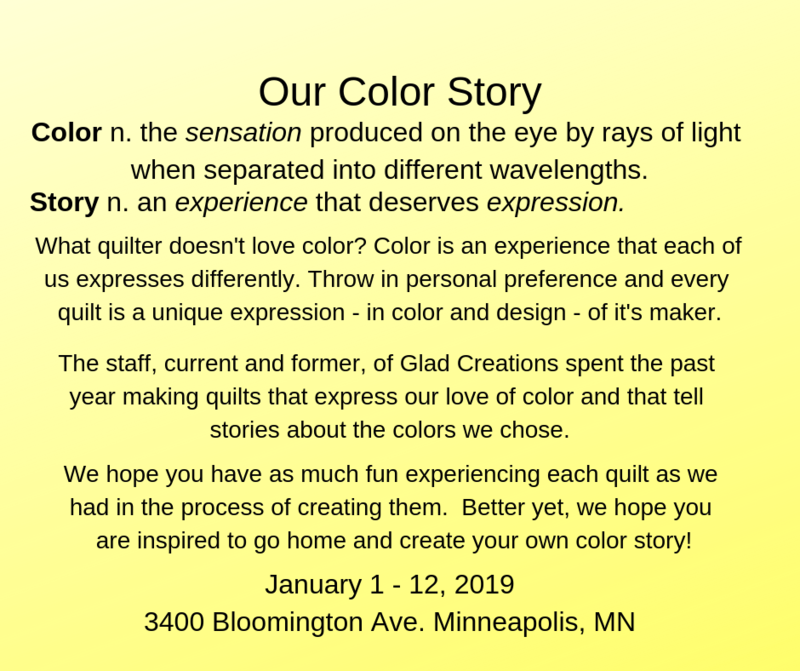 It is with mixed emotions that we have decided to close Glad Creations Quilt Block. We opened the shop in 1976. That's over 42 years ago. We never imagined that we would still be in business in 2019. It has been a wonderful and fulfilling adventure. But we have decided that it's time to turn the page to the next phase of our lives, retirement. We are in the midst of our clearance sale at this time. You can check here to see what's on sale. Susan's daughter Emily plans to take over the day to day operations of keeping the Glad Creations patterns available on the web site. More information about any changes in that regard will be coming over the next few months. Visit our online store to see our pattern line as well as available kits. You can also explore our selection of clearance patterns that we will not be re-printing in the future. So, what's next? Two of our employees have been exploring the option of keeping a local quilt shop in the area by forming a Consumer-owned co-operative. It would be right here at 3400 Bloomington Ave! You can help them determine if there's enough interest to move on to the next stage of planning by responding to their survey. They have put together an informative sheet that will answer some of your questions. You'll find it on our web site along with a survey that you can print, fill out, and return to us. You'll also find a link to an online survey if you prefer to answer that way. We hope you'll spend a while enjoying our site. Visit our patterns & kits pages for our complete line of original quilt designs. Sign up for our bi-weekly Email Update to receive the latest information about happenings in the shop.